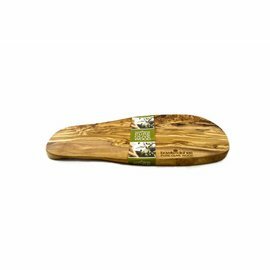 Olive Wood Tapas Board of Pure Olive Wood, approximately 1.5 cm thick. Each board is unique in shape and design. Also suitable as cut or cheese board. Olive Wood Tapas Board of Pure Olive Wood, approximately 1.5 cm thick. Each board is different in shape and drawing and makes it unique. Also suitable as cut or cheese board.